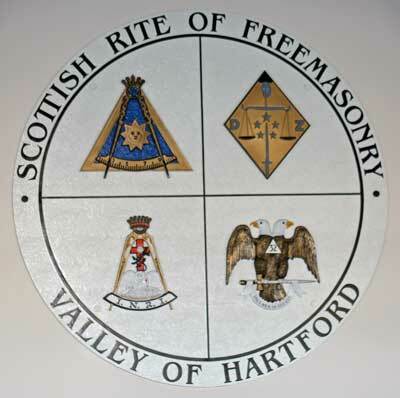 Welcome to the website of the Valley of Hartford, Ancient Accepted Scottish Rite. Our Valley is a member Valley of the Supreme Council, Northern Masonic Jurisdiction of the Ancient Accepted Scottish Rite of Freemasonry. We are located at 207 Deming Street, Newington, Connecticut. On our site you will also find a calendar of events, news about the Valley, PDF copies of our newsletters, and methods to contact us.